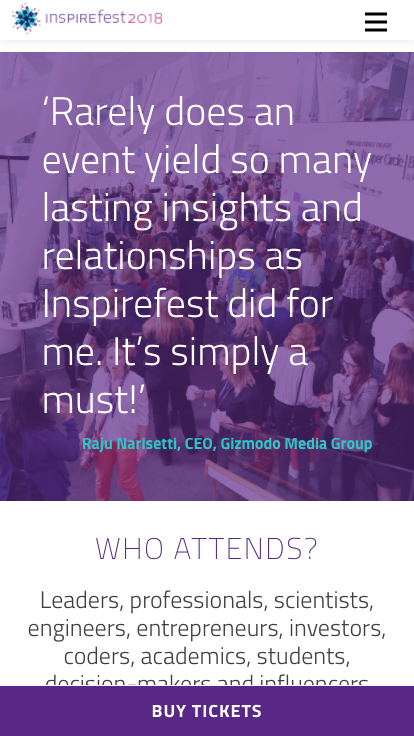 Design and Development of Inspirefest.com, Europe's leading sci-tech, design and arts festival. Inspirefest is Silicon Republic's international event connecting sci-tech professionals with fresh perspectives on leadership, innovation and diversity. 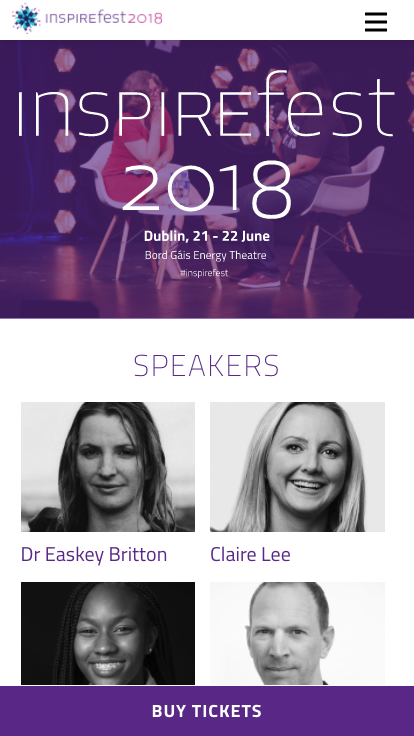 Inspirefest is a unique international festival of technology, science, design and the arts. The main two-day conference takes place in the Bord Gáis Energy Theatre in Dublin’s Silicon Docks. Tickets also include free entry to their legendary Fringe festival, with live music, spoken word, comedy and an unmatched networking experience. Square1 were commissioned by the team at Inspirefest to design and develop a mobile responsive website. We fully integrated the system with an online ticketing system to provide the facility to buy tickets for the event direct from the website.